Dr. Kim received a Ph.D from the Nuclear Engineering Department of Seoul National University, South Korea in 2004. Since joining the Korea Hydro and Nuclear Power (KHNP) in 2007, he engaged in a wide range of research and development activities of nuclear technologies for 10 years. In particular, he served as a project manager in charge of EU-APR development and EUR certification. Dr. Kim worked as a core management engineer and an efficiency management engineer in Hanbit Units 3&4 (1992-2000). He had run a nuclear engineering company from 2000 to 2006. In 2017, Dr. Kim joined the Overseas Business Department where he is currently serving as a general manager responsible for developing new business in the global nuclear market. He graduated from technical cybernetics at the University of West Bohemia in Pilsen and later received a management degree at Sheffield Hallam University. He has experience in design, construction and commissioning of nuclear power plants. For many years he worked in the field of technical support for the operation of nuclear power plants and was the director of the engineering section of the company ČEZ. Till the middle of 2018 he was the Chairman of the Board of Directors and the Director General of ÚJV Řež. During his career he worked with many universities and companies to address energy projects. Liu Yun received his MBA from Manchester Business School in 2015. He also holds a bachelor's degree in thermal and power engineering and a master's degree in project management in China. From 2003 to 2013, he was a commissioning engineer who has gained excellent planning and project management skills during ten years’ experience in coal and nuclear power plants. In 2015, he began to participate in the negotiation of shareholder agreements in the UK Sizewell C nuclear power project. Starting in 2017, as a marketing manager, he is working on the market development of CGN's international nuclear power projects in the Czech Republic. Jiri is the consultant in the field of power industry and is the Partner & Head Executive of JMM Consulting, Ltd. – a company focused on advisory services and organization of professional activities. After graduating from the Czech Technical University, Faculty of Technical and Nuclear Physics, he worked in research; he has been working in the power industry field since 1974 (until 1996 in ČEZ). For the last more than twenty years, he was the advisor of the Minister of Industry and Trade, chairman and vice-chairman of the Supervisory Board of ČEZ, a member of supervisory boards in several energy distribution companies and an advisor of Deputy Ministers of Finance. In these positions, he was dealing with the reorganization of state administration in power industry, the development of state energy policy, the establishment of the State Office for Nuclear Safety and with the preparation of the privatization of Czech power industry. He is occupied by publication activities, mainly in the field of nuclear power industry and has wide experience in organizing of international and specialized professional conferences and meetings. His positions are quoted on TV, radio and in economic periodicals. In 2014 Jiri was elected the President of the Association of Czech Nuclear Veterans. Marco Migliorelli graduated from the faculty of Economics of the University of Rome „Tor Vergata“ in Rome, Italy in 2005, where he also gained a PhD in banking in finance, in 2015. He started his professional carrer as management consultant in the banking sector, and he then joined the European institutions, in 2013. In his actual role he is responsible for the analysis of the several economic and financial aspects of the nuclear fuel cycle and contributes to the policy making process of the European Commission in the field of nuclear energy. He is also author of several publications in the field finance. He graduated from CTU, Faculty of Mechanical Engineering, Institute of Control and Instrumentation, Automated Management. He also graduated from the Masaryk Institute of Higher Studies in the field of Business and Industrial Engineering in Industry. He graduated from the Florence School of Regulation - Annual Training Course on the Regulation of Energy Utilities (Certificate of Attendance). Since 2011, he has worked in the Energy Regulatory Office in several positions from the Energy Regulatory Specialist, Head of Strategy and Advisory Department, Heat Department Director, and finally as Director of the Regulatory Section. At the same time, he lectured technical subjects at the CTU, the Faculty of Mechanical Engineering, and subsequently at the Engineering of the Faculty Czech University of Life Sciences Prague. He has worked in various governmental and non-governmental working groups on energy, as well as on water treatment. In September 2018, he became Deputy Minister of Industry and Trade, leading Section of raw materials and energy. Before joining NNB in September 2014 Xavier was based at the British Embassy in Paris where he was the Commercial Attaché looking after the nuclear, large-scale renewables and defence & security sectors. At NNB Xavier is responsible for assisting overseas suppliers keen to engage directly with NNB procurement as well as with their key delivery partners’ procurement process. He works closely with CGN’s supply chain development team as well as EDF China and through his work provides valuable Taishan feedback to the project including facilitating partnerships where it makes commercial sense to do so. Xavier works out of NNB’s Bridgewater House in Bristol and supports NNB’s procurement teams in Bristol, Paris and Tours. Jiří PLISKA Director of Technical Development, I&C Energo a.s.
Jiří Pliska graduated from the Faculty of Mechanical Engineering Brno University of Technology (1979). In the year 1988 he finished the postgraduate study at the Czech Technical University in Prague (Software Development), and in the year 2015 he finished the licensing study at the Pardubice University (Experimental Data Statistical Processing). He began the career in the energy sector in 1982 at Dukovany NPP in the field of Instrumentation and Control. He has continued in this profession at I&C Energo in various technical and managment positions. His main interest is applications of mathematical statistics and simulation models focused on measurement enhancement, equipment health diagnostics, and thermal power plant efficiency improvement. He is the member of the Association of Czech nuclear veterans. He publishes articles focused on thermal power plants, presents his views at technical meetings, and organizes the technical lesson focused on diagnostics and optimization of thermal power plants. Now he cooperates with IAEA in the field of Thermal Performance Monitoring and Optimization in NPPs Operation. Hiroshi SASAKI Deputy Director, Nuclear Energy Systems Department, Mitsubishi Heavy Industries, Ltd. Graduated from the Faculty of International Politics and Economy of Aoyama Gakuin University, and joined MHI in 1989. Has nearly 30 years of experience in marketing mainly in the area of nuclear service, nuclear fuel and new reactors for both domestic and global customers, among which includes holding management positions. He also was in charge of planning and execution of several organization restructuring and M&A projects. He is currently responsible for marketing nuclear new builds globally. Mr. Seo graduated from the Electrical Engineering Department of Chungbuk National University, South Korea in 1993. Since joining the Korea Hydro and Nuclear Power (KHNP) in the same year, he has been engaged with a wide range of operation and maintenance activities of NPPs for over 25 years. In particular, he has extensive experiences and expertise in improving performance of aged facilities of long term operating NPPs in the field of I&C. Mr. Seo served as a member and the head of the I&C control team at the Maintenance Management Department (2008-2016) in the headquarters after working in commission and operation team of Hanbit Units 3&4 (1993-1998) and I&C team of Hanbit Units 3&4 and Hanul Units 3&4 (1998-2007). He acquired the qualification of Project Management Professional in 2008 and earned a master’s degree in the project management from the Graduate School of Business Administration, Soongsil University in 2014. In 2018, Mr. Seo joined the UAE Project Center where he is currently serving as the Project Manager responsible for overall management of the UAE BNPP Project. Karel STOČES Director of Energetics Division, ZAT a.s.
From the 1990s he worked in technical positions at ZAT a.s. in the area of design and implementation of complex deliveries of instrumentation and control systems for the fossil power plants in the Czech Republic and abroad. Since 2000 he has been engaged in the design and implementation of comprehensive supplies of instrumentation and control systems for nuclear power plants in the Czech Republic and abroad, and since 2008 he has worked in various managerial positions, currently as the Director of the Energetics Division. This division provides products and solutions with ZAT SandRA security and hazard management systems for the control of nuclear and conventional technologies, power generation, auxiliary facilities, energy distribution, research technologies and complex services related to their operation. General Šedivý was the first Czech student at the US Army War College (Pennsylvania). After his graduation in 1994, he took over command of the 4th Rapid Reaction Brigade. In 1996, he was deployed to Bosnia as the Commander of the Czech Army Contingent in IFOR. In 1997-8, he was appointed as the Inspector of Ground Forces of the Czech Armed Forces. He subsequently became the Chief of the Combat Training Division of the General Staff of the Czech Armed Forces. He assumed command of Ground Forces in 1997. On May 1, 1998, he was appointed Chief of the General Staff, with the responsibility for military defense of the Czech Republic, Armed Forces preparation and training. His main task was the preparation and implementation of military measures related to the accession to NATO. He retired on January 1, 2003. Subsequently, he founded his own advisory company “GENERALS” Ltd., working on defense and security projects, and worked in the supervisory bodies of several companies focused on defense matters. He is dealing with defense matters (2004-5 he was a consultant to the European Defense Integration project, done by the Center for Strategic and International Studies – Washington D.C.) and the protection of vital infrastructure of the state. A founding member of the Czech Euro Atlantic Council, he is regularly participating at conferences on security and defense matters and gives lectures at universities and for foreign partners. Zdeněk ŠÍMA Executive Head, Rosatom Central Europe Ltd.
Zdeněk graduated from Prague School of Economics, majored in foreign trade. Since 1983 he has been working at SKODAEXPORT and gained foreign experience during his long-term stay in Pakistan in 1989-92, executing power generation and metallurgy projects. Since then, he was responsible for numerous projects abroad, mainly in power sector, metallurgy and oil & gas. Since 2009 he has been working for ČEZ, Department of new NPPs construction, being responsible for commercial management of new NPP projects. After a short employment at Chladicí věže Praha he joined Rosatom, a Russian state-owned conglomerate, in 2012. Radek received his M.Sc. in Experimental Particle Physics from the University of Bergen (1998) and his Ph.D. in Nuclear Engineering from the Czech Technical University (2002). Having also a degree in economics he initially focused on quantitative finance for Dublin and London based multinational banks, followed by academic work in the Czech Technical University in Prague where he has been teaching nuclear engineering. He is also visiting lecturer of North West University, Potchefstroom in South Africa, Polytech St. Peterburg and World Nuclear University, Oxford. Radek’s lecture topics are related to nuclear fuel, fuel cycle economics and neutronics. Research-wise, Radek was Director of Nuclear Science Center in the Texas A&M University where he conducted experiments on the TRIGA and AGN-201 nuclear reactors and now he leads his nuclear fuel research group in Prague and co-directs Intercontinental Nuclear Institute. David Tramba is a graduate of the University of Economics in Prague, Faculty of Finance. After completing his studies in 2002, he focused on the economic journalism. He worked for the first eight years in the Czech Information Agency as an editor responsible for the energy industry. He wrote articles related to energy topics in the following years as a reporter of Lidové noviny (2010-13), Ekonom weekly (2013-15) and e-magazine Dotyk Byznys. He has been working in the Euro weekly since December 2016. Besides energy, he is writing about investment, industry, and macroeconomic development. He focuses on deeper analytical articles, but also on investigative journalism. He is also the lead author of these publications: Czech Energy (Czech Power Sector 2013, 2014 and 2015), Atom Energy Outlook (2015), and Euro Top Billionaires of the Czech Republic and Slovakia (2017 and 2018). Radek Trněný graduated from the Faculty of Electrical Engineering of the Czech Technical University in Prague. Since the nineties he has acted on the technical and later management positions in companies CKD, Elin and ABB, where he dealt with the design and implementation of complex deliveries for industrial production and energy sector in the Czech Republic and abroad. Since 2004 he has been engaged in international trade of steam turbines (for both classical and nuclear power engineering) at Doosan Škoda Power, where he is the head of new projects since 2012. Vladimír Wagner is nuclear physicist graduated from Faculty of Mathematics and Physics of the Charles University at Prague. He acts at the Institute of Nuclear Physics of Czech Academy of Sciences in the fields of very hot and dense nuclear matter study and accelerator driven transmutation research. He lectures on the Faculty of Nuclear Sciences and Physical Engineering of CTU at Prague and also is a member of Commission for Energy of CAS. In connection with his deep interest at energy technologies and policy (mainly nuclear) he became a member of Governmental Commission which prepared update of the Czech Energy Policy (approved at 2015). 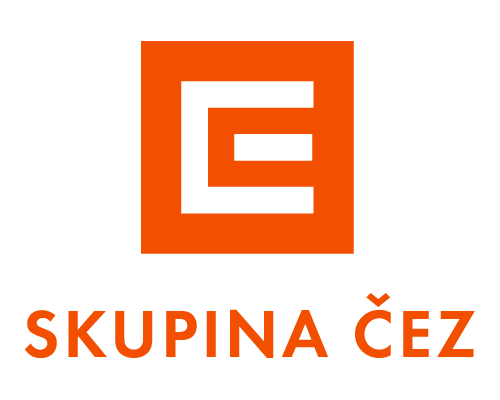 Currently he cooperates on study of present and future energy production for the Czech Chamber of Commerce. He is known as promoter of science, physics, nuclear physics and energy technologies. He gives lectures for students and public, and is an author of hundreds promoting articles, co-author of two books about the Czech power industry and future of electricity production, and also wrote a book about the Fukushima accident (Fukushima I after). Patrick Zak, who graduated from the Ecole Nationale Supérieure des Techniques Industrielles et des Mines de Douai, joined EDF in 1982. He has been working for EDF for 30 years and occupied various management positions in different nuclear plants within EDF fleet, among which Cruas where he was appointed as Head of Operation Department from 1993 to 1998. He has an international background as he was involved for operation in Daya Bay nuclear project in China in beginning 1990s, later appointed in EDF subsidiaries in Poland from 1999 to 2004 where he was head of commercial department in EC Krakow (1260 MWth / 460MWe cogeneration plant owned by EDF) and member of the board of EC Zielona Gora (coal cogeneration plant) in charge of a CCGT project (combined cycle gas turbine). Back in France, he has been appointed as deputy project manager of UK EPR project in Engineering Division of EDF before being nominated as deputy head of EDF China Division in Beijing, in charge of development and asset management. Since the beginning of 2016 is Mr. Zak working in the “Development Division” of “New Nuclear Projects and Engineering Direction” as Predevelopment & Marketing Director. Petr ZÁVODSKÝ Manager of New Nuclear Build Group, ČEZ plc. Petr Závodský has graduated at University of Transport and Communication, electro-technical faculty. Petr joined CEZ Group in 1994, started at Nuclear Power Plant Temelín during construction of Units 1&2, among others as Manager of Independent Verification and Validation of the Safety Systems Software. In autumn 2006, when CEZ decided to prepare New Nuclear built, Petr was one of the first members of the new team responsible for technical part of market research and Tender documents preparation. In April 2009 he becomes Director of Nuclear Power Plants Construction Department with responsibility for ČEZ new nuclear builds. He acts as Vice-Chairman of Board of Directors at ČEZ Bohunice, member of the Board of Directors at ŠKODA PRAHA, member of the Supervisory Board at JESS (Slovak Nuclear Power Company), as well as he is Chairman of the Supervisory Boards at ČEZ daughter SPV’s Elektrárna Temelín II, and Elektrárna Dukovany II. He also represents Czech Power Industry Alliance at the Permanent Czech Governmental Nuclear Committee.